Groundhog Punxsutawney Phil did not see his shadow, so there won’t be six more weeks of winter and the time for spring cleaning will soon be upon us. We are revisiting our earlier post, How to Clean Your Light Bulbs and Fixtures, with additional tips and tricks to brighten your home this spring. Just as the dryer is less effective with a full lint trap, your bulbs aren’t as effective when trying to shine through layers of dust. If you’re like me, you’ve never thought about cleaning your light bulbs. 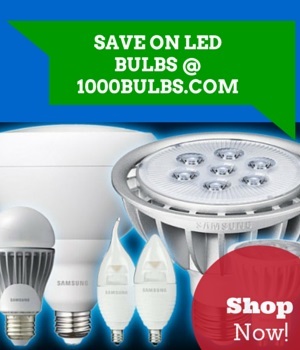 Since joining the 1000Bulbs family, I’ve seen the light and now you can too. Before you reach for any light bulb, turn off the light and give it time to cool. As an extra precaution, turn lights off at the circuit breaker. Avoid unnecessary vacuuming after by placing a large towel underneath any overhead fixtures before dusting, and wear goggles to prevent dust from getting in your eyes. Hold the bulb by the base and wipe the entire surface with a dry microfiber cloth or dryer sheet. For most bulbs, you don’t want to use cleaning solutions or water because you risk damaging the glass and electronics. One exception is fluorescent tubes, which are more durable than other bulbs, and can usually handle being wiped down with a water-damp cloth. Make sure to wring out the cloth so excess water isn’t dripping from the rag while you wipe down the bulb. If you want to be safe, stick to the dry microfiber cloth or dryer sheet. Frosted A19 halogen light bulbs. The oils emitted from the skin on your hands are bad for halogen bulbs and can burn them out within hours. The contamination causes a hot spot when the bulb is on, which can result in cracks or bubbles that allow the halogen gas to leak out and cause premature failure. It’s best to handle these bulbs with powder-free rubber or plastic gloves, but a sandwich bag will work in a pinch. Wipe the glass down with a dry soft cloth. If you accidentally touch the bulb with your fingers, carefully clean the surface with rubbing alcohol to remove the oils and wipe it again with a dry soft cloth to remove any trace of the rubbing alcohol before reinstalling the bulb. Bulb changer head for PAR type light bulbs. If you can reach recessed can lights from a ladder, you can remove the bulb and wipe down the inside of the canister with a damp rag. Just be careful not to touch the rag to the open socket. If you have vaulted ceilings, you may have felt the wave of dread waiting for the light bulbs to burn out. Fear no more. As with any lights, turn off the lights and give them time to cool. There are plenty of dusters on telescoping arms to extend your reach when cleaning a recessed light or simple fixture. The arm should be plastic, wood, or another non-conductive material and you should use a dry microfiber duster rather than a spray so that you don’t risk damaging the glass or getting water in the crevices. If the bulb needs to be replaced, there are a variety of bulb changer heads and extension poles depending on the shape of the bulb. 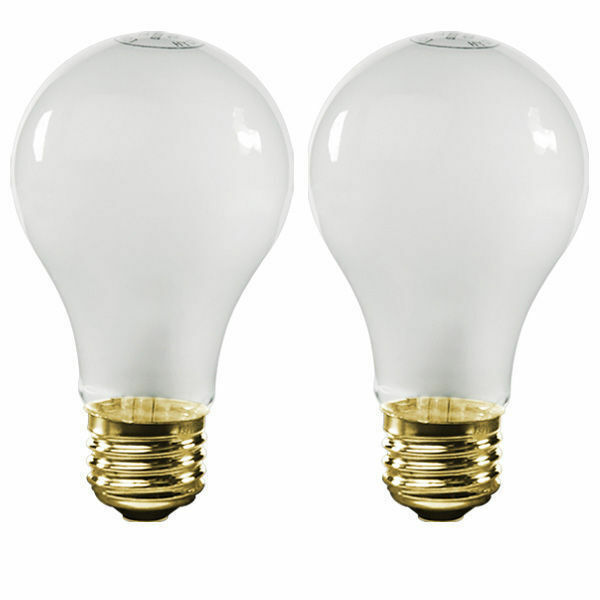 Check the description or packaging to match your bulb with the appropriate head. Cleaning glass chandeliers and other complex fixtures can be tricky. Start by filling a spray bottle with a 50-50 solution of water and vinegar. Once the lights are off, dust the chandelier, bulbs, and extension rod with a soft dry cloth. Next, spray the vinegar solution on a microfiber cloth and gently polish the crystals. You can use this same vinegar solution on the glass covers of pendant lights for a streak free shine. If you don’t want to do it yourself, you can always call a professional. It is also possible to install a motorized lift that can lower the fixture with the flip of a switch. While expensive up front, this would keep you from needing to call a professional every spring. Hopefully your spring cleaning goes smoothly and you won’t need to deal with any broken bulbs. If you do, make sure you’re disposing of it properly. According to the EPA, eleven states and multiple municipalities prohibit the disposal of light bulbs containing mercury in standard waste including but not limited to the following. Before cleanup, open a window and have people and pets leave the room. Shut off central heating/air conditioning if you have one and gather up the following cleanup materials. Once the room has aired out, put on the gloves and scoop up large glass fragments using the stiff paper or cardboard. Use the sticky tape to pick up any small pieces of glass and powder. Place all of the fragments and tape in the glass jar or plastic bag. Take the sealed container outdoors while you check with your local government to see if the bag or jar needs to go to a recycling center. If not, you can dispose of the jar or bag with the household trash. When in doubt, call the local poison control center at 1-800-222-1222. Halogen and LED bulbs are safe to touch once they have cooled and do not need to be treated as hazardous waste. Once a halogen light has cooled, clean up the area as you would with any broken glass. It’s safe to sweep or vacuum, just make sure all of the shards are cleaned up before walking around with bare feet. For more information on recycling old or broken bulbs, read our blog post, How to Recycle Old or Broken Light Bulbs. Just wiping down your dusty bulbs and fixtures could give you 20% more light for the same amount of electricity. Put it at the top of your spring cleaning honey-do list to have better quality light for your remaining cleaning projects. Still have a question about how to clean a specific feature? Ask us in the comments and our enlightened staff can walk you through your unique spring cleaning needs. Follow us on Facebook, Twitter, Google Plus, LinkedIn, and Pinterest for more lighting tips.